Click on the button to see a larger version of the panorama. Click on the button to see the panorama fullscreen (desktop browsers only). 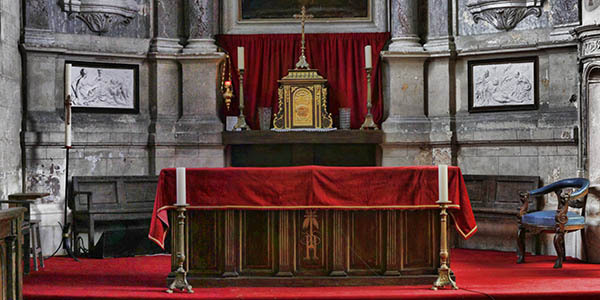 This panorama shows the chancel of the church of St Sulpice in Villiers Adam and was taken during the celebration of its 900th anniversary. exposure fusion with Photomatix; stitching with Hugin; tiling with KRPano.